When last we checked in on the Donald Trump’s response to the opioid crisis, the news was hardly encouraging: The closest thing to someone at the helm was wildly corrupt New Jersey Gov. Chris Christie and extremely bad liar Kellyanne Conway. Things remain pretty bleak over there. The White House installed a 24-year-old St. John’s University grad who has not yet completed his master’s degree in political science as one of the top staffers at the Office of National Drug Control Policy, the Washington Post reported this weekend. Prior to being made the ONDCP’s deputy chief of staff—a job which became even more important given Trump has failed to install a permanent director and seven other ONDCP experts including the acting chief of staff had quit—Taylor Weyeneth’s sole prior professional experience was working on the 2016 presidential campaign. As ONDCP deputy chief of staff, Weyeneth was one of the federal officials tasked with coordinating law enforcement and public health authorities’ anti-drug efforts at a time when opioid abuse is resulting in up to 65,000 deaths a year and rising. 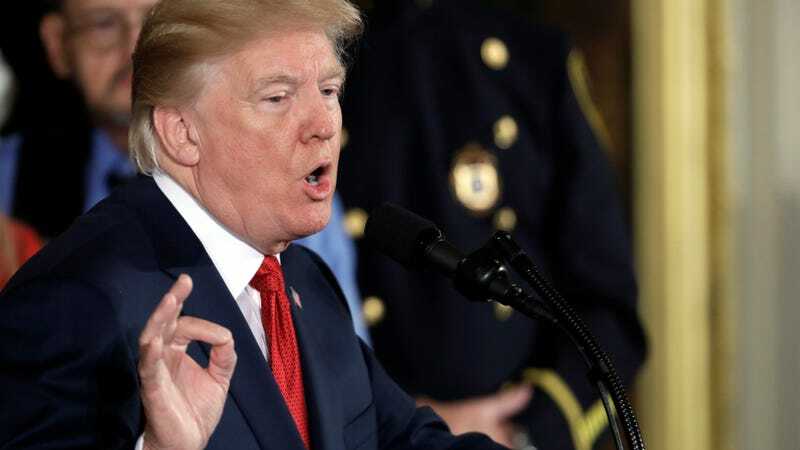 The ONDCP has a budget in the tens of billions, produces the annual National Drug Control Strategy, and handles grant requests for some of the nation’s biggest drug-control programs. State health officials and policy experts say billions of dollars in new funding are needed to make a dent in the crisis. The Public Health Emergency Fund, which HHS could tap under the Trump declaration, has a balance of just $57,000, and the administration hasn’t proposed replenishing it. Rather than asking for new money, the administration can move funds around in existing agency budgets—but that just means taking money away from other health programs. As Politico noted, measures touted by the administration like lifting barriers on Medicaid payments for inpatient addiction treatment actually started under Barack Obama, while others like allowing tele-medicine prescriptions of anti-addiction medicine are in hiatus. According to the Post, the administration now says they will reassign Weyeneth to a White House liaison role with the ONDCP and explained that he had “assumed additional duties and an additional title following staff openings.” It also insisted he had mostly been performing administrative work. This is par for the course for a presidency that’s seen mass departures and vacancies in places like the White House science office and the Environmental Protection Agency, but somehow the bar seems to keep getting lower. There is an answer. I think I actually know the answer, but I’m not sure the country is ready for it yet. Does anybody know what I mean? I think so.